There are various applications of a compact router starting from decorating the edges to concealing joints. It is also used for straightening of crooked joints mostly for cabinets. There is a wide demand for compact routers among carpenters and contractors. You need a quality compact router to work with the peace of mind and do as required. Besides, it needs to be portable and versatile for various applications. Check out the best compact routers our researcher team has handpicked for you from the online market. This router has the distinctive cordless design and a brushless motor. The router with this brushless motor runs 50% longer than the ordinary brushed motors. Moreover, this machine requires an 18V lithium-ion battery to run. The power tool comes with the soft start technology to prevent the scratches over the work surface. This motor also has an extended lifespan with smart construction of this compact router. The device is ideal for cutting up to 400-feet per charge. This machine comes with the variable speed control feature to regulate the speed for every different application. The compact router also comes with the motor speed from 17,000 to 25,000 RPM. 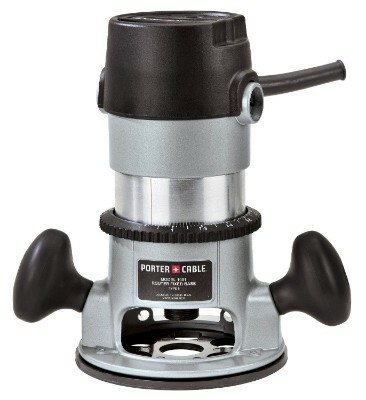 Furthermore, this machine has the cordless design for more convenient cutting experience. 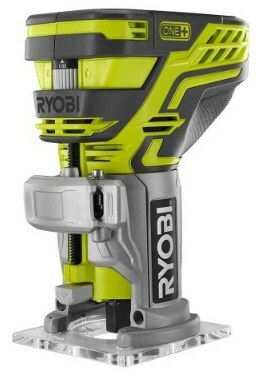 This power tool comes along with a carrying case bag for easy portability to your worksite. The device comes at a pocket-friendly price. The electronic feedback of this compact router maintains the consistency of speed and power during trimming. This router also has an LED light to properly light up the working area for clear visibility. 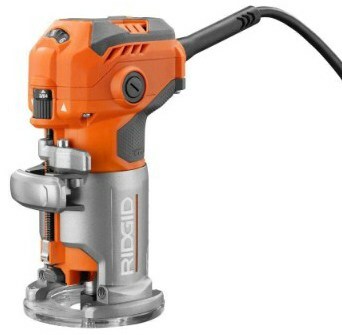 Moreover, this electric tool has a rigid round and square bases to offer a wide range of versatility. The micro-adjustable dial of this router delivers the accurate depth control. This device comes with an over-molded top grip to prevent marring. The spindle lock of this machine also provides a stress-free bit changing option. Furthermore, this flattop router sits upside down, so you can easily change the bits. The quick release lever of this device supports an easy removal of the motor. The variable speed control of this compact router is ideal for a consistent cut. The device has a compact design and is light in weight for easy transportability. With a 6.5-amp powerful motor and maximum horsepower of 1.25, this router has the variable speed control dial. This dial also permits you to set the RPM of the motor within 10,000 to 32,000. So, you can easily set the ideal speed of the motor for your every individual application. 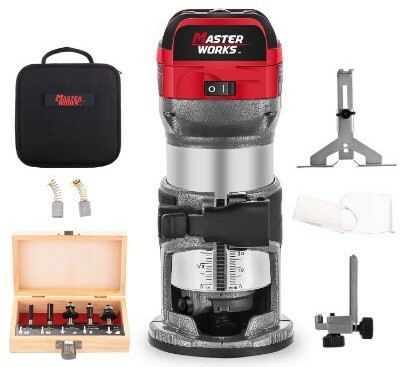 Moreover, the router comes with the rack-and-pinion depth adjustment system to offer professional-grade finishing for various woodworking and cabinetry. The ergonomic rubberized handle of this tool allows accurate stability and control over your works. The quick locking system of this router also delivers proper depth adjustments and base change. Furthermore, this tool has the dual LED lights and see-through sub-base to offer clearer visibility in dark working areas. The external brush cap design permits an easy carbon brush replacement. The dust-hood of this electric device eliminates dust to keep your workspace clean. The convenient structure of this compact router allows easy portability to your worksites. This ergonomic router also comes with a 1.25 Horsepower motor and a variable speed control dial. Moreover, the power tool with 7.0-amp motor makes your trimming and routing jobs easier and more précised. This motor has the soft-start circuitry with a constant response feature to maintain the speed under load. This electric gadget has a perfect and fast depth adjustment system to provide both the micro and macro adjustments. The center-able round sub-base of this tool also provides you with proper guidance. Furthermore, this electric gadget has the long-lasting and non-split aluminum base housing. This wide base of the compact router accepts the bits up to 1-5/16-inch. The spindle lock of this device helps you to conveniently change the bits. This router comes along with a self-releasing collect chunk and a forged collect chuck wrench. This compact router comes with a bunch of LED lights, so you can easily observe your project through the clear fiber base. The device also has an over-molded rubber-coated grip to maintain a non-skid, firm yet steady grip over the machine. Moreover, the easy-to-use knob of this router allows you to have precise on-board depth adjustments. Made of high-quality aluminum, the robust base of this cordless router keeps the machine stable at any condition. The electric gadget also requires an 18-Volt lithium-ion battery to run. Furthermore, this powerful tool allows having the cordless and simple operation. The motor of this device delivers the 29,000 RPM. The compact router is the perfect one for any sorts of woodworking projects. The compact design of this electric tool makes it ideal for smaller projects as well. The robust construction of this cost-effective router comes with a prolonged lifespan. The compact router has a spindle lock button to allow the single-wrench bit changes. This easy-to-use router also comes with the précised construction with the cast-aluminum fixed base. Moreover, the electric tool consists of extra-large locking clips to support a faster motor releasing and course depth adjustment. This machine has a 4.5-amp motor with 31,000 RPM speed. 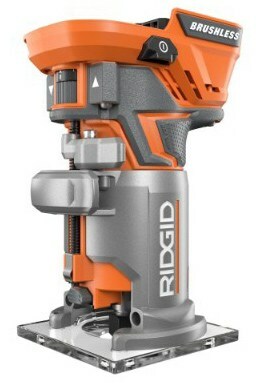 The electric device comes with a depth ring allows a précised and fast bit height adjustments. The spindle lock of this device also permits you to handily alter the bits. Furthermore, this laminate trimmer has the base plate secured with 4 screws. The device comes with an LED light to properly illuminate the base of the working area for accurate visibility. This lightweight and compact design of this router allows easy transportability. 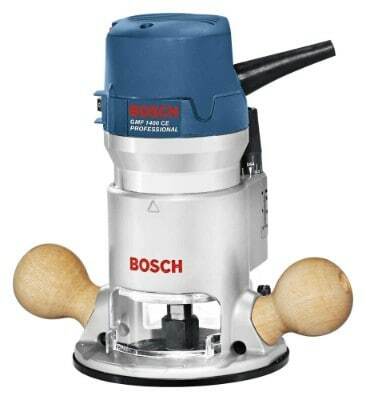 The power tool is ideal for cutting laminates, aluminum and other more materials. This compact router has the brushless motor to offer quicker and précised cuts on various surfaces of different materials. The device also comes with no cord for easier operation than the other wired compact routers. Moreover, study router consists of an electrically-controlled BL brushless motor. This motor of the electric gadget efficiently consumes power to synchronize the torque and RPM. So, you can easily change the speed of the motor as per your requirement. The compact router also includes the variable speed control dial ranged between 10,000 to 30,000 RPM. Furthermore, this electrical tool with this speed control copes up with the speed of the application. The electronic speed control feature of the smart device keeps up the consistency of the speed under load. This electric gadget has a separate lock button to protect you against the accidental start-up. It is one of the best compact routers to buy. This router with a straightedge guide helps to get précised edge-work up to 3-5/8-inch from the edge. The compact router also has a 5.6-amp motor with 1.0 Horsepower. Moreover, the motor comes with the variable speed control ranged between 16,000 to 35,000 RPM. The angled cord exit of this electric router does not cause any trouble during your work. The long-lasting aluminum fixed base of this electric device delivers a solid construction. The router also includes the distinctive finger support pockets to provide more stability and control during trimming the edges. Furthermore, the compact router has the swift and accurate depth adjustment system to provide both the micro and macro adjustments. This finely designed router supports you to easily move the motor from base to base with the quick-clamp system. 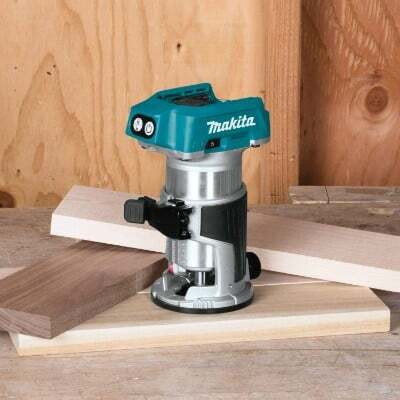 The fixed base of the compact router accepts the bits up to 1-5/16-inch in diameter. The compact router is the ideal one for woodworking. This router consists of a powerful 12-amp with 2.25 Horsepower. 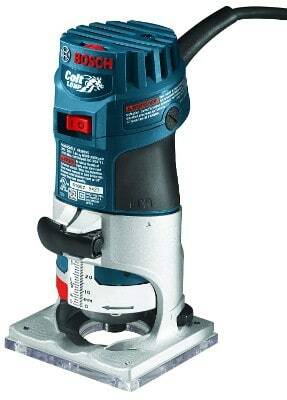 This motor of this handy router also delivers the 8000 to 25000 RPM. Moreover, the variable speed dial of this compact router lets you set the optimal speed of the motor to get the best routing. 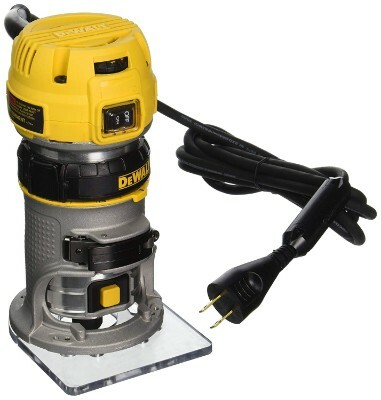 The router has the fixed base diameter of 6-inches and expandable to 6-11/16-inch. This device comes with a cost-effective price, and it is one of the best compact routers on the list. The rounded hardwood handles of this compact router also provide better user control. Furthermore, this soft starting router has the advanced speed-control technology to retain the desired RPM for stable performance. The ergonomic router comes with the sturdy aluminum housing and base. This well-designed router has the self-releasing collects of 1/4-inch and 1/2-inch diameters. The fixed-base depth range of this electric router is about 1-5/8-inch. The power switch of this router is entirely dust-sealed. This compact router has an 11-amp motor which generates 1-3/4 peak Horsepower. The motor also comes with the 27500 RPM. Moreover, the design of this electric gadget consists of the over-molded grips to deliver a comfortable and extended hold. This router comes with a dust-sealed switch and sealed ball-bearing design to prolong the lifespan of the router. The tool comes with a simple bit- removing option with the aid of the auto-release collect system. This router includes the aluminum-made motor housing and base. The router also has the under-table stop feature to help the motor to rotate only on the base. Furthermore, this robust router collects ideally accept the 1/2-inch and 1/4-inch shank bits. The micrometer depth adjuster of this compact router comes with accuracy up to 1/128-inch. This electric gadget allows easy operation. The long-lasting router has the motor with the diameter of 3½-inch. The compact design of this easy-to-use router allows easy transportability as well. The compact router has a durable and compact design and 1 to 1/4- Horsepower motor with variable speed control. This device also has the speed control dial of 10,000 to 30,000 RPM. Moreover, the electronic speed control feature of this electric gadget helps to consistently maintain the speed under load. The motor of this sturdy router has the soft start functionality. Made of double-insulated and sturdy aluminum motor housing this easy-to-use router lasts really long. The smooth rack-and-pinion fine depth adjustment system with easy-to-read depth scales of the router delivers sharper operations. This router also comes with a see-through base to increase the quality of handling and performance. Furthermore, the shaft lock and the flat top design of this electric router allow a swift and easy bit changing. The electric gadget consists of an easy-release cam-lock system to have a stress-free depth adjustment and base installation. This is one of the best compact routers on the list. 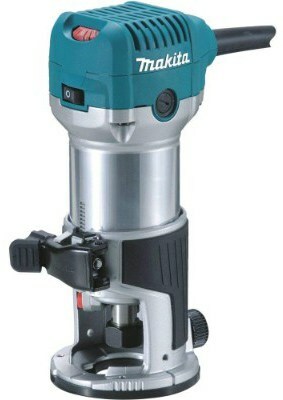 This compact router comes with a soft starting motor with 16000 to 27000-RPM. The full-time electronic feedback of this motor also helps to maintain the speed of the machine through the cut. Moreover, the smart machine has the variable speed control for a consistent cut. This electric gadget comes with dual LED lights and transparent sub-base to provide clearer visibility. 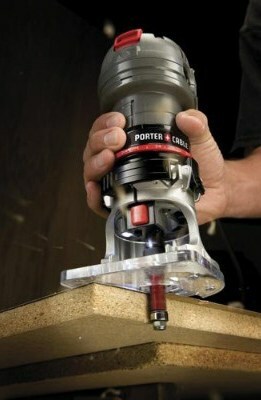 The router device is ideal for heavy flush trimming, large edge profiles, and small bevel cuts. The handy gadget has the low and contoured grip to provide you with the strong controllability. The compact router also has the 1.4-inch router collect to make more intense surface contact for lesser vibration. 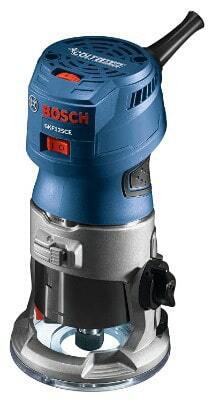 Furthermore, this electric device comes with an adjustable ring to change the bit depth up to 1/64-inch. The D-shaped sub-base of this router machine provides a proper steadiness and flatness while running the edge profiles. To maintain the proper motor location, this compact router has the adjustable clamp design. You get this machine at an affordable price. It is useless to buy a cheap-quality compact router just because it is available at a cheap rate. This is because the longevity of such routers is very low. Therefore, you should buy a heavy-end compact router made of the best construction material. There are corded and cordless compact routers available. Even though the cordless ones are convenient, the corded ones are the most preferred. Let’s go through the description of this review of the best compact routers and compare them before settling to buy the the one that match your preferences.